Very private and quiet with super discreet staff, and a great location with the beach, numerous restaurants and bars within walking distance. Although it’s a two-bedroom villa we really felt that it would have been a bit crowded with two extra bodies around – even if they were your young offspring – as there isn’t any space to play or run about. That said, two couples who like to get amongst it in the local bars, beaches and brouhaha spending a lot of time outside could probably pull it off. Thank you for a wonderful stay at Villa Ubud. The villa, location and staff were exceptional. We appreciate very much how dedicated and friendly all the staff were during our stay in Bali. Thank you so much for your hospitality. The Ubud villa has been so relaxing and luxurious. We have enjoyed our stay very much. The staff are so kind, friendly and helpful. We will definitely recommend Lakshmi Villas to our Australian friends. To all the fantastic staff who were sensational during our stay at Villa Ubud. Thank you for your extremely warm friendship, fantastic service and always going above and beyond and nothing being to much trouble. We will definitely see you again soon. Thank you for a lovely stay at Villa Ubud. Beautiful villa and staff are all very kind. Wonderful holiday in the Ubud Villa. A true sanctuary within the hub of busy Seminyak. The staff were wonderful, friendly and helpful. Compliment to the Chef who made us some meals as good and better than any other. Huge thank you to the lovely team of Villa Lakshmi Ubud. We have had an amazing week and been beautifully look after. You made our Bali trip such a delight. Thank you for accommodating all of our request - especially to the butlers. Wonderful staff, beautiful villa and great location. What a beautiful stay we had in Villa Ubud. Thank you for your attentive, calm and sweet service. A big thanks to Villa Manager Agus for his help to seek medical treatment. The villa was relaxing, peaceful and functional. Thank you we will come back again. Thank you for a wonderful stay at Lakshmi Villas. We appreciate how dedicated and friendly all the staff were during our stay. What a blissful place to spend our 46th weeding anniversary. The villa was always immaculately presented, the ambiance and cleanliness only surpassed by the wonderful attentiveness of the Lakshmi team. Our little oasis of tranquility and relaxation did not disappoint in any way. Everyone of the Lakshmi team were smiling, efficient and professional in the service and hospitality. Food was delicious and our in house dinner was divine. Thanks for making our stay so enjoyable and relaxing. We had a terrific time in Bali and the villa accommodation. The service from all the staff was excellent. Definitely recommend this place to stay. Had the most beautiful stay, great staff, great breakfast, very clean. Cant wait to come back. Our favourite villa in Bali. The Lakshmi Villas have the best possible location in the center of Seminyak. For those who want to explore the never-ending list of shops, spas, restaurants and bars, look no further. For those who want to chill at the beach, learn how to surf or love romantic sunset walks, Seminyak Beach is just a 5 minutes’ walk from the villa. The staff are super friendly, always ready to help and always with a big smile. A big plus is that The Lakshmi Villas are located in a very calm area. Only residents and staff pass in front of the villas - so you don't have street noise inside your little place in heaven. We loved our stay in Villa Ubud and can recommend this location. Our stay here was amazing, just too short. Everything we needed was here for our use and the dinners were excellent. We enjoyed Villa Ubud very much and would love to come back very soon. Was a pleasure staying with you. A beautiful serene place. Would love to come again. Thank you, our stay was great. Quiet, good location, nice pool. Breakfast good. Its been lovely. Gardens and amenities were very nice. Staff and rooms were exceptional. It really amazing for our first stay in Bali and we will definitely be back. Thank you for this lovely days. This amazing villa. The villa is really beautiful and also the staff is really kind. We will come back. Everything was amazing. The villa, the staff and the location. Cannot think of a better place to stay in Bali. Thank you all. Fabulous place, great location, wonderful service. We had such great time here. Will come back for sure. Thank you for such a wonderful experience at Villa Lakshmi. The staff, location, food were all just perfect and we hope to be back very soon. Fantastic villa, great location, service amazing. Thanks to all for making stay so enjoyable. We had a wonderful stay at Lakshmi Villas. The staff were very helpful. To all the staff at Lakshmi Villas. Yet again on our fourth stay with you all, have you looked after us beautifully. We never want to stay anywhere else. This time in Villa Ubud, which we might add after its refurbish is looking lovely. The service, friendliness and Wira's laugh constantly put a smile on our faces. To the owners.Thank you for employing this great team. Hold onto them. They do you proud. Until next time. We love this villa, clean, beautiful and spacious. Nicely maintained by kind caring staff who are not only polite, but they are also very considerate and friendly. Thank you for having us and hope come back again. Thank you for a wonderful time at Villa Ubud. The staff, service, food and whole experience was very relaxing for all of us. We have been to Bali many time, now and very much enjoyed the location this time around. Thank you to the whole team for looking after us, the kids loved it too. Thanks for a comfortable relaxing stay. Lovely, clean villa, friendly and helpful staff. Great location. No complaints. Thanks very much Lakshmi Villas. Famous place, perfect service, we felt like being home. Thanks for all. Thank you very much for taking such a good care of us, here at the lovely Villa Ubud. We had a wonderful time in seminyak. we love the villa and hope to come back some time. The breakfast was delicious and we enjoyed the BBQ. Agus, thank you for the memorable stay and your beautiful hospitality. We absolutely love Bali, the food, culture and people are unforgettable. We were treated like royalty. Thank you. What a peaceful, delightful stay here. Thank you, thank you to the awesome team of staff here who made this such a memorable stay. Food delicious, room service, cleanliness tops. Wira sense of humour is infectious, every one helpful and considerate. The Lakshmi Villas including our Villa Ubud provided a perfect and relaxing home for our Bali adventures. Huge gratitude to our delightful team of service staff headed by Agus. We will be back. We have a lot more to do in Bali. Thank you for a wonderful stay at Lakshmi Villa. Our four night stay was very enjoyable and relaxing with the very attentive staff and beautiful garden and pool. We can't wait to come back. We stayed at Lakshmi Villas and every thing was absolutely perfect. Beautiful house, staff are incredible and the experience was overall incredible. We loved our stay and we will be back very soon. Thank you so much. We stayed at Villa Ubud for four night enjoyed it so much. Now Villa Toba is available for two nights - we decided to extend our stay. The service made our holiday perfect. We will be back. Thank you so much for looking after us so well. Wonderful service and delicious dinner, friendly and helpful staff. We had a wonderful stay at villa Ubud. Thank you. Hope be back soon. Had a wonderful birthday. 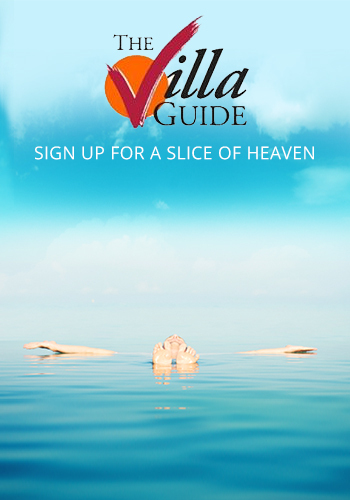 Our beautiful experience here in Villa Ubud, is absolutely amazing. The best hospitality with friendly staff, polite where everyone greet us with warm smile very day. Thanks you very much Lakshmi Villa for this unforgettable stay here in Bali. We will surely visit again soon. We love you. Thank you for all your help through our stay here, we will come back for more holiday. Thank you so much for a very pleasant stay. Bali is so beautiful, villa is so amazing. The pool is so good, my daughter is so love the pool. Thank you for wonderful stay. The staff was very friendly and attentive. The room and common area are great. The food has been delicious and attractively presented. In spite of the rain we have had a lovely stay. Thank you for a very relaxing and enjoyable time. The food was amazing and staff where very helpful. We really enjoyed our time in Villa Ubud. Thank you for the wonderful stay at Villa Ubud over the 2016 - 2017 New Year. 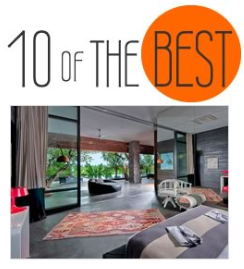 Truly an amazing experience at what we believe to be the best villas in Bali. The service provided was a absolute gem and we will 100% come back here for another stay. Thank you for the hospitality. Thank you for a wonderful stay at Villa Ubud - service, breakfast and hospitality were wonderful. We had a great time here in Bali. Thank you so much for your kindness and hospitality during our stay. We had a wonderful and very fun time at Villa Ubud. We hope to be back soon. Thank you for the service given to us for the last 4 days. To all the staff at Lakshmi Villas. Another amazing stay. Thanks for everything, its always wonderful to visit. Thank you for a lovely mini holiday. Next time we will stay longer. We will miss the lovely sound of our pool fountain. Thank you for looking after us once again. We love coming to Bali to see our friends, hope to see again soon. Its never easy to say goodbye but here it is really difficult. Thanks for having made us think and feel that we are home here. Everybody is fantastic, nice, gentle and that is really good to sense it. The hope now is be able to come back and enjoy more peaceful time it these great houses of Lakshmi. Thanks for everything - perfect stay and amazing holidays. Thank you for your wonderful hospitality & helping to make our holiday so memorable. It has been a great experience staying here. It was very relaxing & lovely time. Perfect ambiance & very hospitable staff for a perfect relaxing holiday. Thank you for a lovely trip & will definitely plan a stay again soon. It has been a wonderful and a comfortable stay in villa. The staff has been very helpful and ever so smiling. It is like staying at home, an exotic place. Thank you. Thank you so much for letting me enjoy a little piece of your beautiful paradise. I will certainly recommend this villa to everyone coming to Bali who wants to be pampered. Thank you so much for taking care of us.we had a wonderful girls trip. Lovely. tranquil and perfect location. Will definitely return with family next time. Will definitely recommend to clients of Wow Travel. Thanks for the wonderful hospitality by all. We loved our time here. Nothing was too much trouble and everything we asked for was exceeded. I cannot say thank you enough for the amazing care with which you looked after us. Villa Ubud was a slice of heaven and it will be tough to leave. Nothing was ever any trouble and we felt so at home. We will be back and will be bring the whole family next time. Can't wait to tell everyone about this magical spot. Thank you for making our visit to Bali perfect. This has been a 50th birthday escape with my twin sister and you have all ensured that at has been a memorable one. The villa, service, food has all been wonderful. Next time two villas and the entire family. Thank you all so much for looking after us nothing was too much trouble. The service, accommodation, food and location were all fantastic. One of the best villas we have stayed at in Bali. We will miss beautiful Bali and Lakshmi we will be back to Paradise soon. To our friends Agus, Wira, Astawa,Gusde, Putu. Once again everything at Lakshmi was perfection - tranquil and relaxing with wonderfully personalized service. As usual we appreciate your warm hospitality friendliness always service with smile at Lakshmi Villas. We found the Villa to be very comfortable. it was in easy walking distance to the shops/markets as well as the main street where there are a number of restaurants. It was also very close to the beach. Perfect Villa for my husband, myself, son and daughter in law. Plenty of space for the four of us. Proximity to everything we required was great. Short stroll to end of gang to wonderful coffee and gelato, restaurants and a short stroll to the beach. The staff are very friendly, attentive and helpful. Location is almost unbeatable, 5-10 minutes walk to beach, bars, restaurants and shopping yet still quiet on a residential street. Highly recommended. My girlfriends and I had a great time staying in the villa. It was very private and quiet. Loved the location as was very close to everything we needed - shops and great places to eat and drink. Staff were always available when we needed them. I would recommend this villa for a couple or couples but not suitable for a family with young children given one bedroom was separate upstairs. We very much enjoyed our stay at Lakshmi Villas. The location and service from the staff was perfect. The villa was lovely and a nice private oasis. The villa has enough space for two couples to share in comfort. Agus and staff do a wonderful job of looking after any requests. The location is within easy walking to the beach, shops and good restaurants. This was our third stay with Lakshmi Villas and we are looking forward to our next visit. based on 72 user reviews. After a ridiculously early-morning four-hour flight from Thailand we were a bit exhausted when we arrived at Villa Ubud, so how nice was it to find our accommodation so cool, shady and private. Our butler informed us that he was there to cater to our every whim, and just to call him if we needed anything, so after preparing an ice bucket and a couple of champagne flutes (for the duty frees!) he discreetly slipped away leaving us to our own devices. At dinner time he was the perfect professional, adding a noble tinge to our humble but elegantly prepared and presented Balinese feast, but somehow he still kept that casual Bali air, and we loved him for that – the stuff that gratuities were made for. We commented on how perfect the location was for our needs as we ambled down to the beach at sunset for a couple of cold beers.